In a 1994 feature on a representative class of high schoolers, Money Magazine recorded Vic Hithe's high school hopes, posted on a bulletin board at his class reunion. Those hopes were high, he'd be "playing pro baseball in Dodger stadium," the magazine wrote. The reality though, was different. Ten years after graduation, Hithe was a supervisor at a California catering company. Still, though Hithe had a baseball career, a seven-year career. He never made it to Dodger Stadium, or anywhere else in the majors, but he did make it as high as AAA. Hithe's professional career began in 1985, signed by the Astros as an undrafted free agent. He played that first season in the rookie Gulf Coast League. He hit .229 with no home runs. He played much of his second season, a shortened season, at single-A Asheville. He played all of his third season there. Between the two, Hithe hit over .300. He hit 11 home runs and stole 31 bases his second year there. He singled, stole a base and scored in one August 1987 game. In the Florida State League, at Osceola in 1988, marked by The Orlando Sentinel going in as one of the team's exciting players. Hithe hit .270, with a single home run, but had another 31 stolen bases. One of his stolen bases was a steal of home. Going into 1989, the Astros traded Hithe to the Orioles in a three-player deal. The move meant a promotion to AA, at Hagerstown. There, he hit .277, while swiping 29 bases. 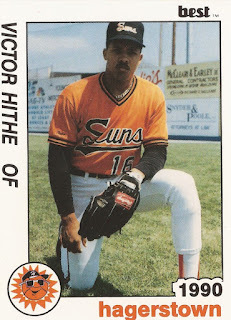 Hithe made AAA for his first and only time in 1990, at Rochester. He played 71 games in AAA, moving up from AA Hagerstown in mid-May. He hit .274 at Rochester, but stealing only five bases. He started that year at Hagerstown, scoring twice for the AA team in one April game. 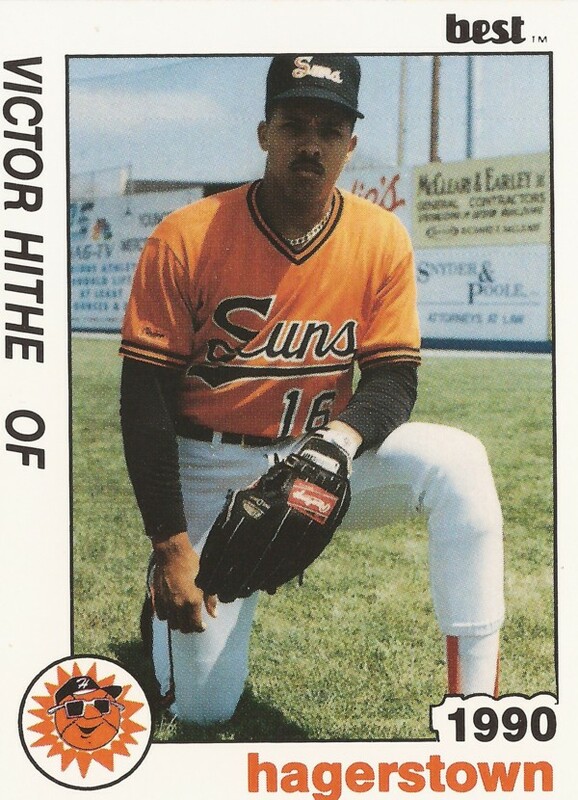 Hithe started 1991, his final season as a player, in the Mexican League, returning to Hagerstown by June. He hit .277 for Hagerstown, swiping 20 final bases, ending his professional baseball career.